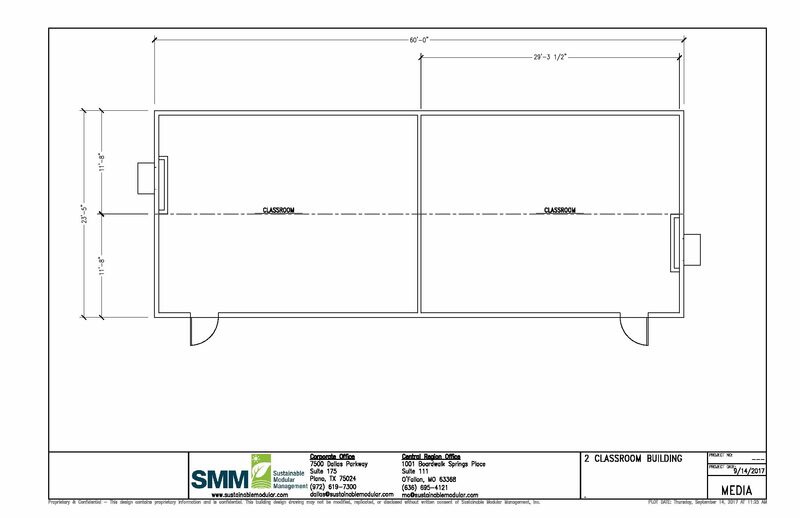 2-Classroom Modular Building | Sustainable Modular Management Inc. Built fast. Built better. Built right. 24’ x 60’ Double Classroom Building has two classrooms, each 24’ x 30’ separated by an interior partition. The interior door allows for access between the classrooms. This floor plan can be prepared with or without restrooms in each classroom.